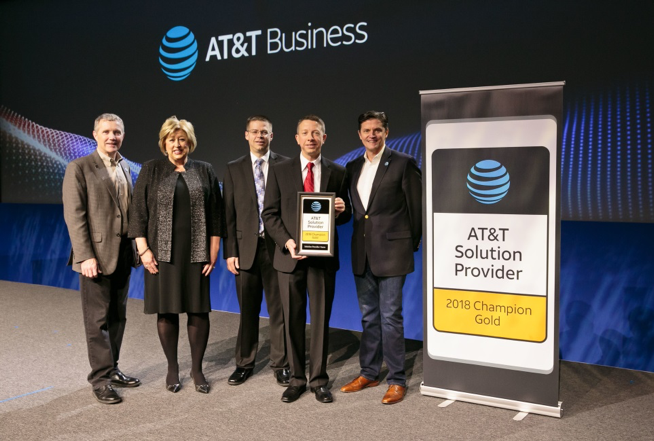 DMS is proud to announce that based on our 2017 performance, we have been recognized by AT&T as a Gold Champion Solution Provider. This means that as a company we are excelling in customer service and growing our knowledge on how to best fulfill our customer’s needs. AT&T’s Alliance Channel program helps Solution Providers qualify and serve customers, while expanding their own rate of solutions and customer base. Being recognized as a Gold Champion Solution Provider acknowledges the commitment and success that our firm has in the AT&T program. Our Gold Champion award also shows that we are in the Top 14 Solution Providers out of 800 total in AT&T’s current Solution Provider program. We are incredibly proud of the partnership that we had with AT&T for 2017 and are cannot wait to see the growth that 2018 has in store for DMS!